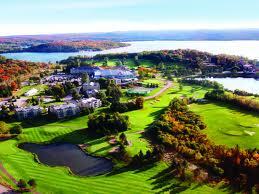 If you live in Ontario and are looking to get away for a weekend this resort is perfect for you. Especially if you are anything like me and have limited time and budget to go down south or Europe. 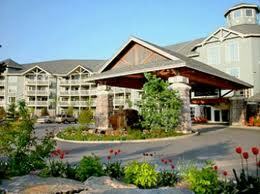 This resort is located in Huntsville in the Muskoka region, about 2 hours away from Toronto. Immediately when you arrive it gives the impression of a well kept resort with several villas, golf courses and outdoor pools including amazing lake views. We decided to book the summit lodge which is basically an apartment style hotel with a kitchen, living area and separate bedroom. 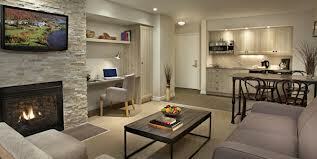 May I add the apartment had 2 plasma TVs! This was a bonus since we kind of had rainy weather and it gave us something to do. Being a City Girl this was a great chance for me to escape the chaos and relax. 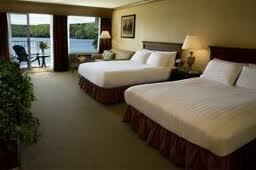 I highly recommend this resort, it also includes several on-site restaurants and breakfast is included. 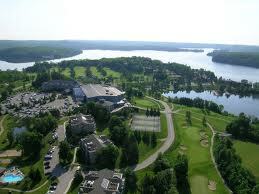 Here are some pictures of what the resort looks like. Also http://www.priceline.com/ gives you great deals if your looking to book this resort with your friends, family or significant other.